Corsa Sport » Message Board » General Chat » Finally joined the Corsa///Msport group! Author Finally joined the Corsa///Msport group! Whilst on the round trip we called off in Cheltenham to meet Belly and his lovely White CUP, wheels were exchanged and then we embarked onto the hotel and nearing the Twingo's final destination. The next day we got up and drove over to see the car which i have wanted since I was about 10! Sadly the first one was an absolute mess, crash damaged along with overspray and parts missing, so I left that one behind and we went on a drive ringing around all the local ones until we found this beauty!!! It's a 54 plate BMW 320cd M Sport, with saffron leather interior and Harmon/Kardon sound system, i managed to do 200 miles to £25 on the way home so a HUGE improvement over the Twingo! It does have a few imperfections but they will be sorted soon! Plans are coilovers, wheels, exhaust tip (to get rid of the horrible downward tip), EGR, DPF, Swirl flaps and then finally a remap, there are other bits that i want to do but time will tell! 5 series reps, 18s but the previous owner has caught all 4 on kerbs a lot! Would rather an E46 M3 but due to the commute to work then i settled for a diesel. BMW diesels are by far the best!! Does it have Internet forum approved mileage, or real world 100k plus miles? Real world Nic, full service history with receipts of all work done since new! 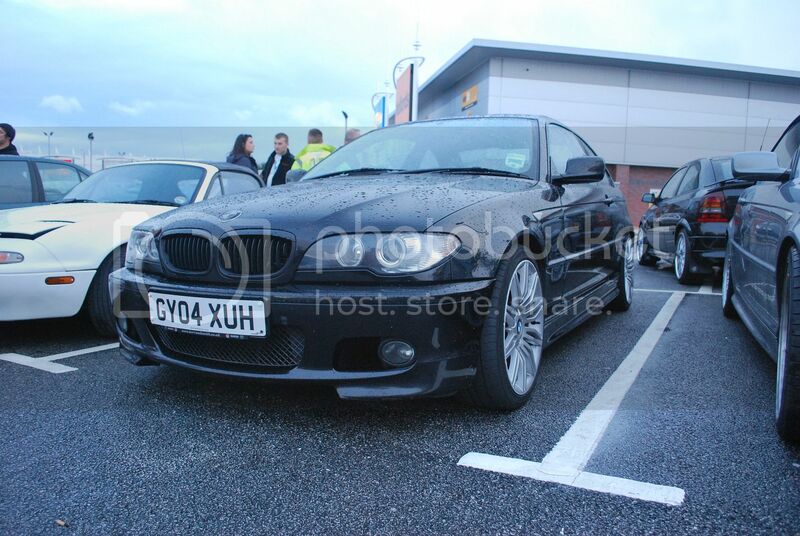 Love these E46's. Mate has a 325i Msport auto and its such an awesome car to drive. Don't think i would be happy with a 320cd though, knowing that a 330cd was available and how quick they are. beast motors, just got myself a 330d! Looks nice this ! I'll have to look at it next car cruise your at , you getting my mate to map it ? price? msg if do not want to say on board. You've wanted a diesel bm since you were 10? It's a 4 door not a coupe mine. 150k miles, drives like a 15k mile car.